Today has been quite a day, regarding Arsenal transfer news, gossip, rumors, and speculation surrounding the Gunners. Without further ado, here is the Arsenal Transfer News Roundup. According to TalkSport, Emmanuel Eboue has agreed personal terms with Turkish giants, Galatasaray. The deal is reportedly worth around 4 million pounds. 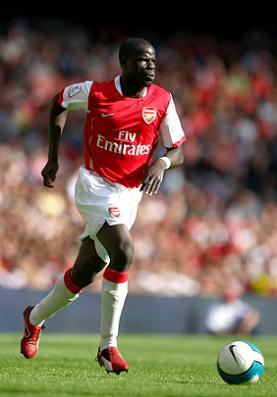 Eboue has been a great servant for the club and I've always admired his passion, whenever he puts on the Arsenal shirt. I wish him all the best of luck. 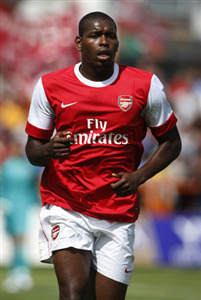 Link to the article: http://www.talksport.co.uk/sports-news/football/premier-league/transfer-rumours/9270/4/eboue-agrees-terms-galatasaray? According to many reports, especially Young Guns Blog, Jay Emmanuel-Thomas is on the verge of joining Championship side, Ipswich Town, after agreeing personal terms with the club. JET's move is expected to be completed in the next 24 hours, subject to a medical, after Arsenal agreed to sell him for around 1.1 million pounds with a sell-on fee included in the deal. I'm quite disappointed that JET, will not fulfill his huge potential and talent with the Gunners. I've always admired his ability, but he never did impress on loan and I think this deal is good for both parties. I wish JET all the best of luck for the future. According to several sources, Arsenal are interested, along with both Schalke and Liverpool in the services of Freiburg hitman, Papiss Cisse. Papiss Cisse impressed last season in the Bundesliga, scoring 22 goals with only Bayern Munich's Mario Gomez outscoring him. Freiburg reportedly value Cisse at around 13 million pounds. Papiss Cisse, is a striker who plays better and is more effective, inside the penalty box and is a "fox in the box" type of player. 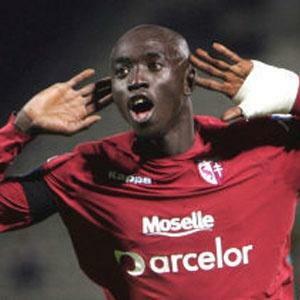 If you want to know more about Papiss Cisse, check out my brief report on him. Interesting news reported by Sky Sports, as they state that the Gunners have enquired over the availability of Wigan's James McCarthy. He's reportedly valued at around 10 million pounds and Liverpool is also said to be interested in his services. 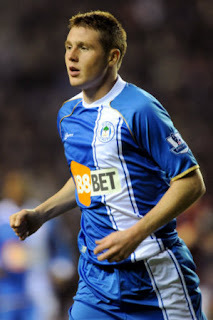 James McCarthy is a very talented, 20 year old, Irish international midfielder who has impressed with Wigan. I like him and think he's an excellent talent, but I believe that we should be focusing our attentions on the defence, as McCarthy is more of an attacking player. Despite that, McCarthy is an excellent talent, who has a very bright future ahead of him. What do you think? What are your thoughts on Eboue and JET leaving the club? Should the Gunners go for another striker like Cisse? Do you think that the Gunners should go after McCarthy?